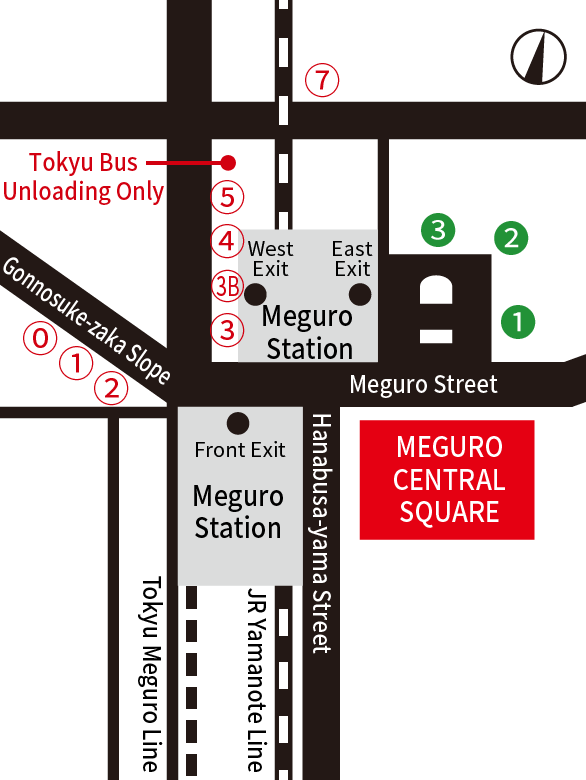 Exit through Central Ticket Gate and walk 1 minute from East Exit or West Exit. 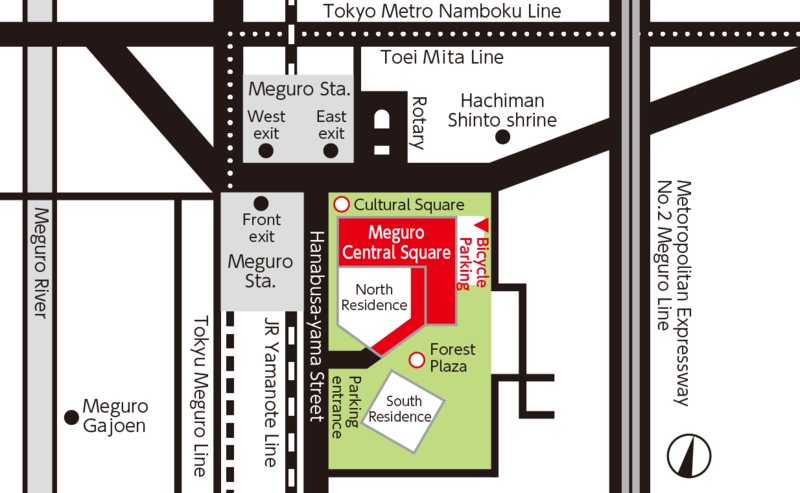 Exit through Tokyu Transit Ticket Gate and walk 1 minute from Front Exit. 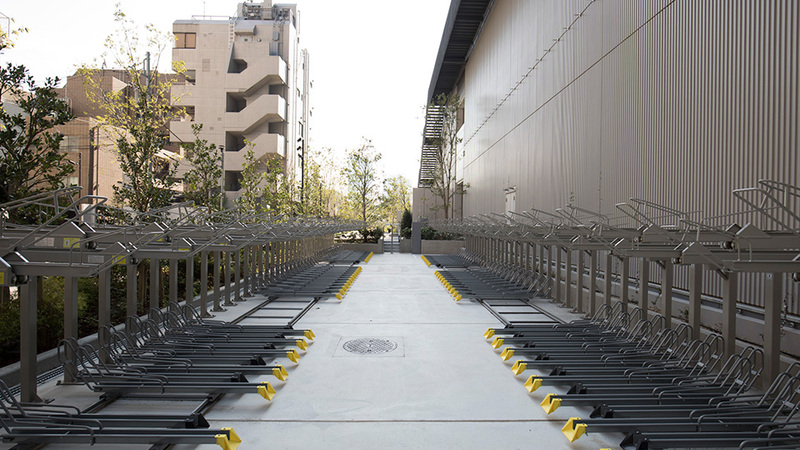 ❷［黒 77］ for Sendagaya Sta. 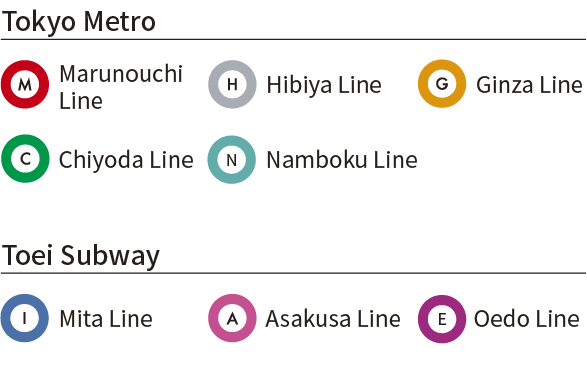 ［橋 86］ for Tokyo Tower / Shimbashi Sta. 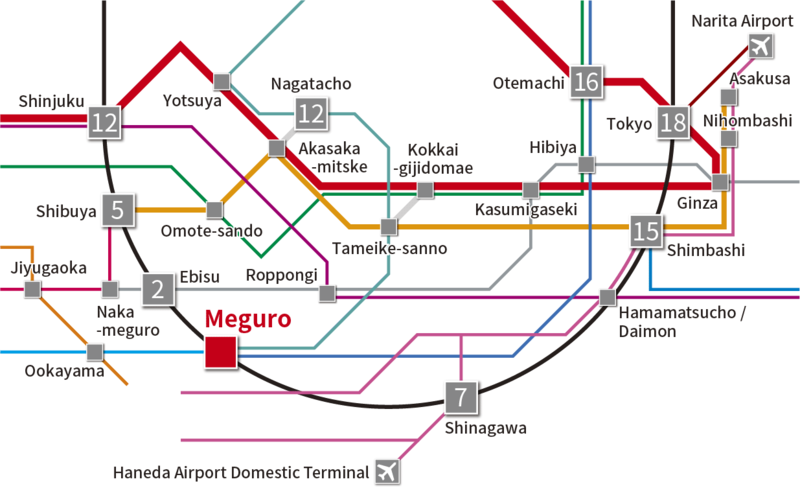 ②［黒 06］ for Sangen-jaya Sta. 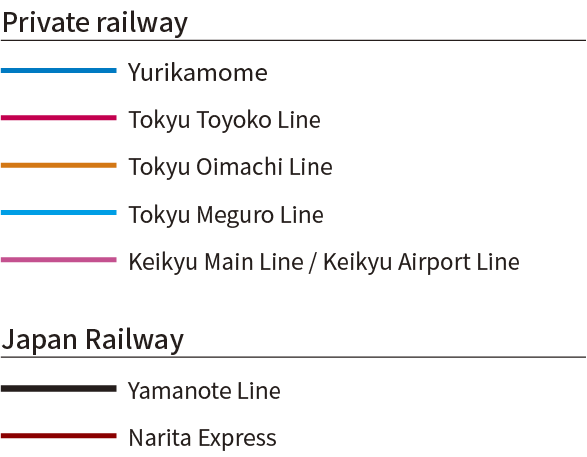 ⑦［東 98］ for Tokyo Sta. 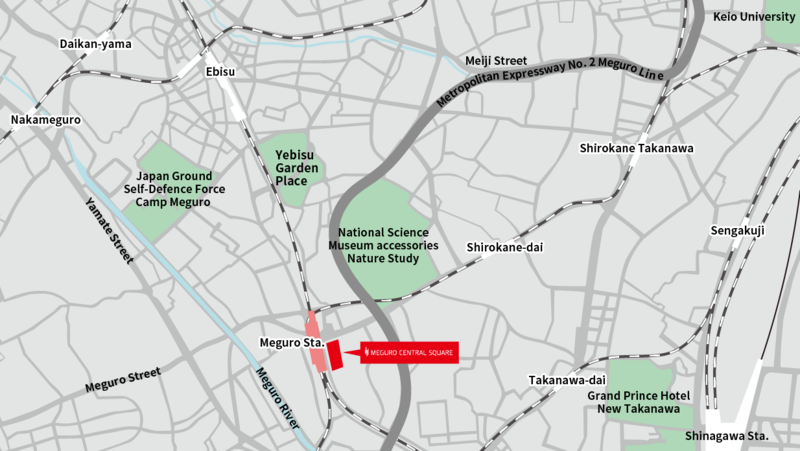 From Central Circular Route, get on Metropolitan Expressway No.2 Meguro Route and exit at Meguro ramp. 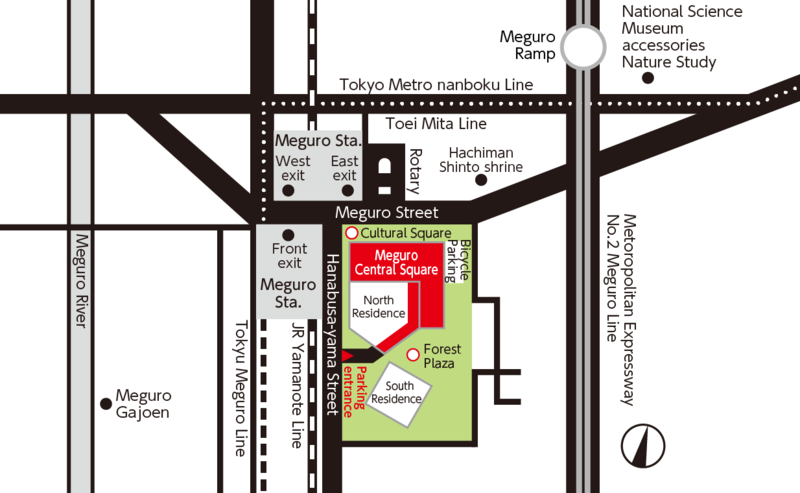 Go straight, turn right onto Meguro Street at Kamiosaki traffic light, and turn left after about 400 meters. 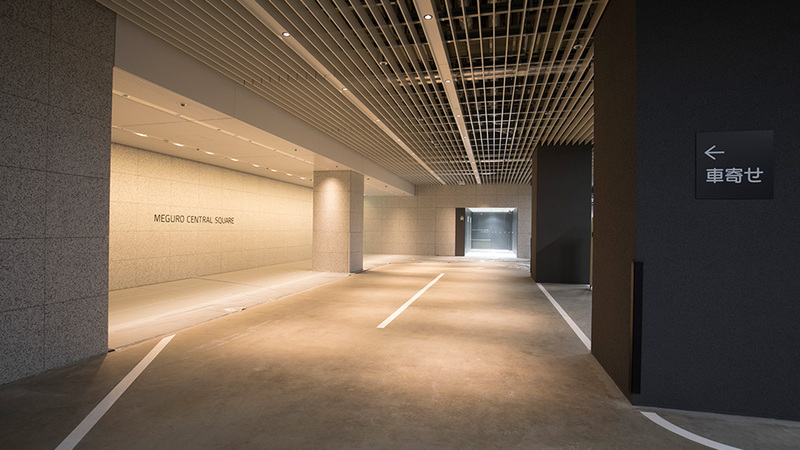 There is a parking lot entrance facing Hanabusayama Street. 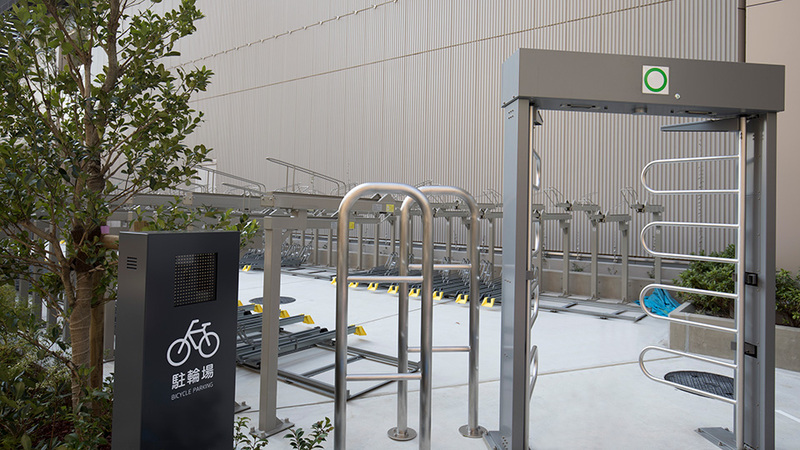 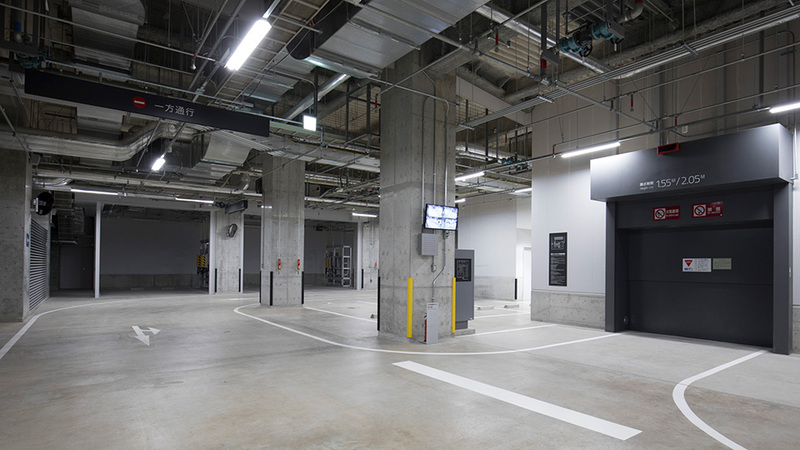 Please use the bicycle parking lot on the east side of the building (next to Mizuho Bank Meguro Branch).